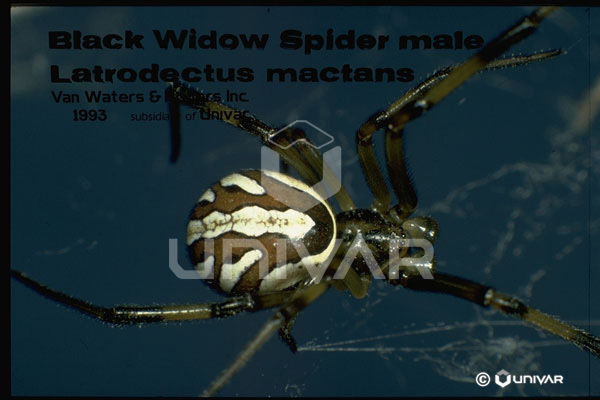 Origin: Five species of these native spiders occur in North America, being found in all states and in southern Canada. Other species may be found worldwide. 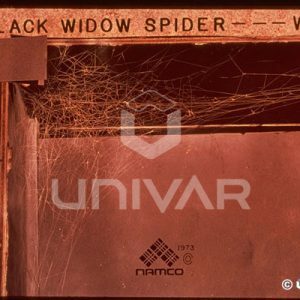 Biology: The black widow spiders are the most dangerous spiders with respect to human health in the U.S. 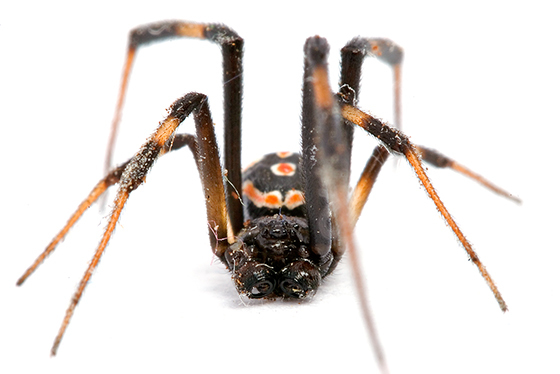 They are one of the few spiders capable of biting humans that inject a neurotoxin, and the effect of the bite can be serious and potentially fatal. Only females bite humans, but both males and females construct webs to capture other prey, primarily flying insects. 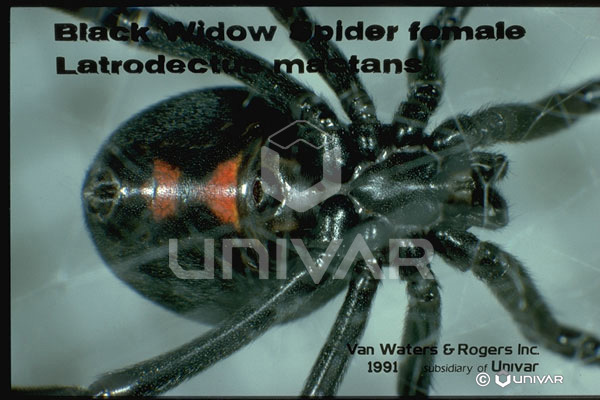 Males also enter a female’s web for mating, and if the female is not receptive the male may be eaten. 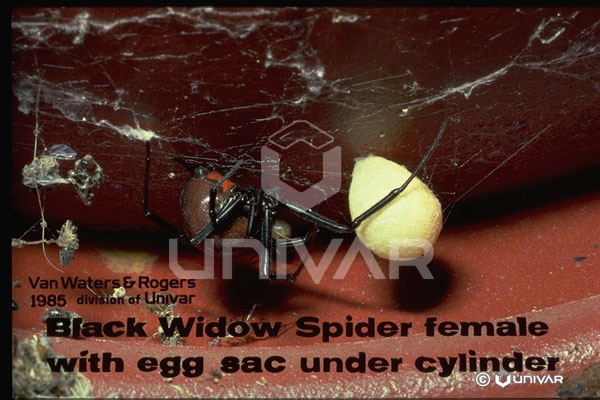 The life span of black widow females averages around 180 days as an adult, taking about 3 months to reach maturity. Males mature in about 70 days and live only about 30 days after that. 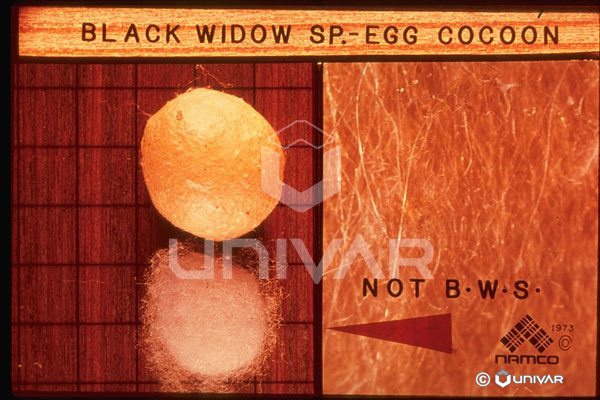 The female may produce up to 9 egg sacs with about 350 eggs per sac on average. 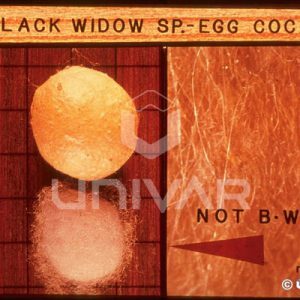 She will be most aggressive and defensive of her webbing while she is guarding these eggs, as well as being more hungry following egg production. The new spiderlings emerge from the sac and remain near it for a day or two, but then they undergo “ballooning” to disperse, creating long silk strands that are carried away by the wind. 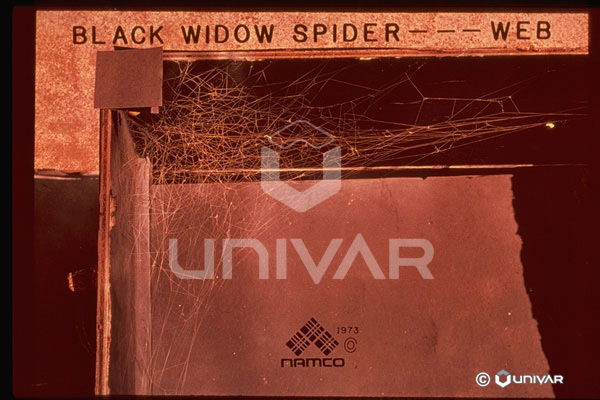 Black widows are generally reclusive spiders that create their webs in areas of inactivity. The web is made of extremely strong silk that is very sticky, and it has a very haphazard appearance without the symmetry of some other spiders. 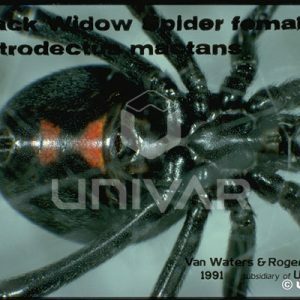 Identification: Females are the most recognized spider in North America, with their shiny black body, long thin legs, large oval abdomen, and red “hourglass” pattern on the underside of the abdomen. This hourglass pattern may not always be there. Males also have the same pattern, but it is white, and their body color is mottled brown and white. 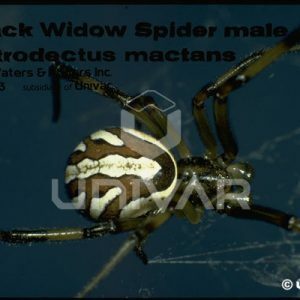 Immature spiders begin very light colored and progress to the adult color in stages as they pass through their instars, gradually becoming more black if they are females. The female tends to hang upside down in her web due to the weight of the abdomen. 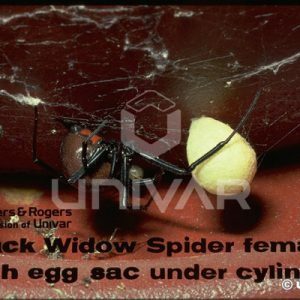 Eggs sacs of black widows are about ½ inch in diameter and are smooth surfaced. The eyes of comb-footed spiders are typically a total of eight eyes arranged in two rows of four eyes, one row above the other and with the outside eyes so close together that they touch each other. Characteristics Important in Control: Elimination of unnecessary debris in storage or on the exterior will reduce harborage sites, including lumber or firewood piles, boards or other materials on the ground, and yard debris. Materials stored in garages or other interior storage areas can be kept off the floor and in a condition that allows access to the areas behind them. The individual spider inside may be eliminated by vacuuming, and the webbing then removed with a sweep. For chemical control the pyrethroid insecticides are excellent, giving quick knockdown and kill and a lengthy residual.